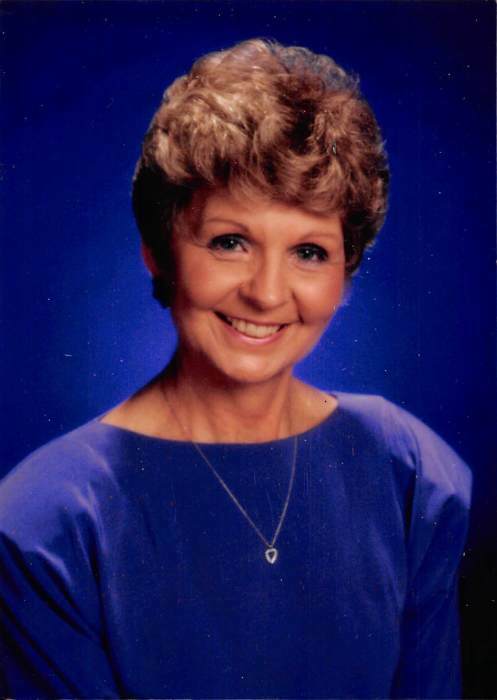 Jo Ann Powell Clark, 80, of Little York, IL, passed away at 3:39 p.m., Wednesday, April 4, 2018, at OSF St. Mary Medical Center, Galesburg. She was born on November 4, 1937 in Norwood, IL, the daughter of Harland William and Hazel (Simpson) Powell. Jo Ann was raised and educated in Monmouth, attending Scotstown and Cameron rural grade schools. She graduated from Monmouth High School in 1955. Jo Ann married Richard Dean Clark in Little York on August 3, 1956 at Cedar Creek United Presbyterian Church, he survives. After raising her family in Texas, Jo Ann worked in banking for many years as a customer service representative. She was an avid quilter, enjoyed traveling, especially to Hawaii, and was active in Little Cedar Church and with her high school alumni group. After seventeen moves during her married life, in 2009 she returned to within three miles of her birth. Surviving Jo Ann is her husband; two daughters, Sherry Lynn (John) Hutchison of Ovilla, TX, Cynthia Jo (William) McCuaig of Sacramento, NM; two sons, James Dean Clark of Laporte, MN, Robert William Clark (Brien Galvin) of Danbury, CT; seven grandchildren, Shera Vargas, Patrick McCuaig, Kelly McCuaig, Jonathan Leaverton, Caitlin Graves, Jacob Hutchison, Erin Clark; fourteen great grandchildren; her aunt Jean Barkley of Manson WA; and numerous cousins, nieces and nephews. She was preceded in death by her parents, brother, Billy Dean Powell, and sister, Judith Kay Brown. Memorial Services will be at 2:30 p.m., Sunday, April 8, 2018 at McGuire & Davies Funeral Home and Crematory, Monmouth. Cremation rites have been accorded. Interment will be in Cedar Creek Cemetery. Visitation will be prior to the service at the funeral home from 1:00-2:30 p.m. Memorials can be made to the UT Southwestern Medical Center of Dallas, TX in support of cancer research or OSF Health Care Foundation in support of OSF St. Mary Medical Center. For more information or to leave an online condolence, please visit, www.mcguireanddaviesfuneralhome.com.